To participate in cacheboxing, you must find a geocache (either intentionally or accidentally) and select a trinket to use as a makeshift stamp. Der Mad Stamper can be thanked for this ingenious idea on how to never leave a box—any kind of box—empty-handed. Many letterboxes on Atlas Quest actually have their clues hosted somewhere else (LbNA being the most common). However, AQ will still periodically scan the clue from the remote website to check that the URL is still good, index the words in the clue so the clue can be searched if needed and so forth. A version of the clue is saved locally and it's called a cached clue. It may be out of date since the clues are only checked about once per month, but if the remote website is down or otherwise inaccessible, you can still see a copy of the clue as AQ has saved it. Cairns are piles of rock, usually used to mark the direction of a trail. They are especially common over rock or boulder fields where the trail is hard to follow, but they can be found anywhere where there are rocks to pile. The four principle points on a compass: North, south, east and west. Usually something that, when reached, tells you something about your location. For instance, a letterboxing clue that says to look for a tree on the right, but if you've reached a footbridge, you've gone too far. The footbridge, in this case, it a 'catching feature', and allows you to determine that you've gone too far. Rivers and trails make excellent catching features for compass work. A popular type of ink pad with letterboxers due to its compact size and sharp point for detailed inking projects. See image at the right for an example of a cat's eye ink pad. The tutorial Stamping With Style has lots of ideas on how you might use them. Askew or awry. For example, "I found one of my boxes today with the lid screwed on all cattywhompus." Chalk ink pads share the resilience of pigment inks, yet they stamp and blend like dye inks on most absorbent surfaces. Permanent when heat set, they resist smearing, bleeding or fading even when air dried. While the manufacturer makes it sound like a completely new super-ink, rumor has it that chalk ink is a reformulated pigment-based ink. Which doesn't mean it's the same as pigment-based ink pads, but they will share a lot of the same texture and properties as pigment-based ink pads. Check dams, also called check steps, are usually made of wood or large rocks, and are used on badly eroded trails to stop erosion. They typically look like a step, and a series of them will look much like a staircase. Water will still run down the trail, but check dams will catch sediment and help restore the trail to its former glory. A conspicuous feature on the terrain used to check one's progress toward a destination. An exciting and sometimes dangerous new sport (see photo of wassamatta_u to the right) many letterboxers enjoy that involves throwing a slice of processed cheese (without removing the plastic wrapping) onto a lit BBQ. For more information, check out the official Cheese Racing website. Wassamatta_u also has this helpful cheese racing tutorial. Please note, however, that some images may be graphic and disturbing. 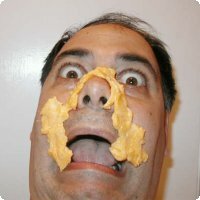 Additionally, some letterboxers feel cheese racing constitutes cruel and unusual punishment towards processed cheese and should be illegal. Oh, get your head out of the gutter. It's a perfectly acceptable English word, often used on Dartmoor to describe loose rocks on and around tors. In cold weather, water will freeze in the cracks of tors and eventually break off smaller pieces of rock that are then referred to as clitter. Not being able to see the landmarks described in the clue. A popular brand of ink pads that many letterboxers use. A device (or possibly an app on your smartphone) used to determine directions, frequently used by letterboxers to find a letterbox. Also see orienteering compass. 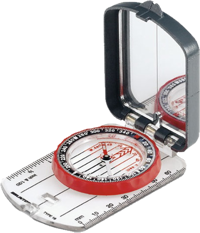 To learn more about compasses and how to use them, please read the Compassing 101 tutorial. A letterbox planted without permission that has been removed by the person or organization that owns the land where the letterbox was illegally planted. The NPS is legendary for confiscating letterboxes on their land, but any letterbox planted without permission can suffer a similar fate. An imaginary line over terrain where all points of the line are the same elevation above (or below!) sea level. Used extensively on topo maps. A type of letterbox where one tries to sneak around hiding a stamp (and often times optional logbook) on another person—perhaps in an open backpack or jacket pocket. Once you 'catch a cootie', you stamp in and try to pawn it off onto another unsuspecting letterboxer. Cooties are often signed into with the stamp of your thumb or fingers that you draw on to embellish instead of the traditional signature stamp, although many people prefer to use their signature stamp instead. Cooties aren't in an enclosed container—they need space to move and breath, and the better for stealth. For more cootie talk, visit our Cooties board. Fleas are an offshoot of cooties that allow you to put them in regular boxes as if they were hitchhikers and stamp in with your signature stamp rather than use the thumbprint signature. An open and unattended backpack or bag often collects quite a large number of cooties—and thus they are called cootie catchers. One bag at a Stone Mountain gathering collected a whopping 20-odd cooties! 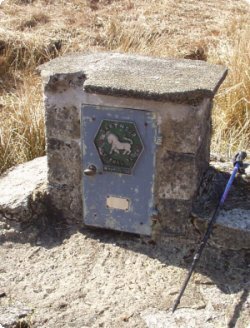 The world's first letterbox was located in 1854, in a small inaccessible area of Dartmoor known as Cranmere Pool. Do not be fooled by the name—there is no pool of water here. The last sighting of an actual pool was in the early 1800s, but the ground in the area is still very wet and soggy! A clue without a home. The clue is hidden in another letterbox (similar to clues for a bonus boxes), but the letterboxer that finds the clue is expected to move the clue to another nearby letterbox. The cuckoo clue typically contains directions to limit how far the clue should travel to find a new home. 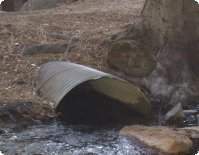 A drainage structure that passes beneath a trail to allow the flow of water from one side of the trail to the other. Often built into turnpikes. Somewhere between a hand-carved stamp and a store-bought stamp. A custom-made stamp has an original, unique image (and not mass-produced like the ones typically found in stores) but is not crafted by hand like a hand-carved stamp.